I must begin with a confession. I was never very fond of school. I endured the typical K through College plus before severing myself devoting full time to my own interests. I have no gooey stories about the teacher who inspired my life. I can’t sit still for Goodbye Mr. Chips and fail to stay awake for Mr. Holland and his opus. There is just no sentimental trigger in me in this school notion. It could be the ever presence of Sister Mary Darth Vadar who tracked my early years with her constant heavy breathing and cheerless response to my imaginative antics. In terms of how to amuse my classmates she said “why?”, and I was inspired to say “why not”? In my youth, I tended to subscribe to JFK’s bold notion that conformity is the jailer of freedom and the enemy of growth. At least that is what I use say to myself from the hallways outside the classrooms where I spent much of my school years. 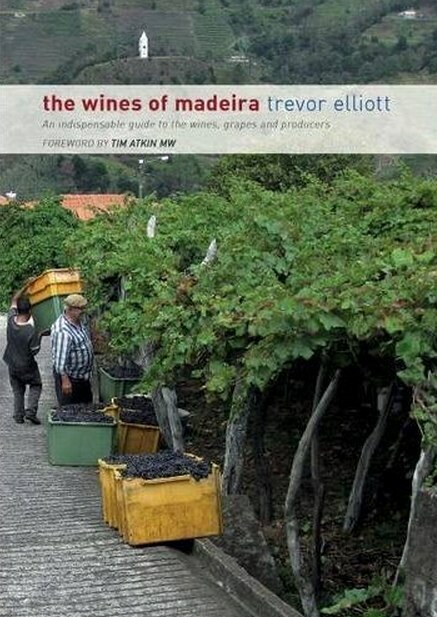 So when I did a quick browse of The Wines of Madeira and took note that it’s author Trevor Elliott is a retired teacher with no less than thirty years in secondary school holding cells as first among the first I tensed up a bit. I saw the headline retired teacher becomes wine educator. Here he is doing what he always wanted to do instead of torturing imaginative young boys like Burt Frink. And to top it off he taught chemistry! Aaaaargh! The chemistry teacher in Mr Elliott is most evident in his excellent sections on vinification, fortification, aging, blending and bottling. One’s eyes can glaze over when presented with these subjects when you want most to speed off to the mistier moments of sensory evaluation and tasting. The lure of these matters is where the soft afternoon lighting sings you the well known serenade of wine. There are no deep sighs when considering Kieselguhr filtration and its kin. These are industrial processes and their descriptors and photography feature the mundane world of stainless steel. However, you are in the best of hands in this area as he states in the forward As a chemistry teacher in a previous life, I know how many people become worried and tend to ‘switch off’ when they see chemical formulae and technical terms. And he does such a good job. Rather than thumping you with the notion of how smart he is and how little you know about the chemistry of winemaking he invites you to learn by giving you brevity in writing and careful clarity in photography. The pictures are outstanding and that is challenging. This is manufacturing stuff. It doesn’t invite the sound of violins. I am not a fan of meaningless sunsets. It’s another place where I don’t have a sentimental trigger in me. Sunsets and silhouettes have been the bread and butter of trying to avoid the tough ideas for half a century now and wine books are filled to the gills with the two of them. If you have my attention I expect you to communicate. And Mr. Elliot does. His photography and that of others that he has chosen to use is clear, well lit, carefully composed and informative. Yes, they are machines. That’s how they make wine. Beakers and geeks and big, big containers of immaculate stainless. Consider the options and you wouldn’t want it any other way. Mr. Elliott is not a romantic. But he also is not a pedantic. He chooses his images and words well and writes in a personal rhythm. I feel trusting that he has read thoroughly before committing his own ideas to the page and he has distilled rather than elongated and elaborated. He has done the research for a comprehensive portrait of his subject. It is a good brief and quick conversation on Madeira in the hands of one who is an excellent writer/conversationalist. When he comes to the consideration of tasting profiles and food and wine matches the author wisely enlists the opinions of several Madeira winemakers. For flavor profiles of the various styles he also reproduces selections from producers and UK agents tasting notes for wines ranging from five year to fifteen year samples as well as Colheita & Single Harvest and Frasqueira (Vintage) from the annual Institute Madeira tasting in London. He points out that only eight producers exist on the island and he profiles each of them and their wines. The powers that be (the IVBAM- The Institute) are not overlooked as he does a careful turn on the legal controls on Madeira and their producers. At times his book has the feel of a textbook and perhaps this is common to most wine books. It may be the nature of the beast when imparting reams of information and data and legal strictures. I don’t have to remind you that there are many, many people out there who will bore you about wine. Elliott makes tidy what could be messy for you and focuses your attention and quickly moves on. Charting and mapping are clearly presented. It is a very muted enthusiasm that he has for these wines. Yet considering the amount of time, energy and overall commitment that went into this book he obviously cares deeply for his subject. I didn’t come away loving science any more than before, but I was left with a stronger attachment to Madeira which I think might have been this crafty teachers intention. So, to bend the cliche The Wines of Madeira might be considered Mr. Elliott’s Opus and he should be very, very proud. And not to put too fine a point on it I believe it would be cheerless to end this consideration of Madeira without a listen to one of the most famous wine songs of all time from the pen of the great writing team of Flanders and Swan; Have Some Madeira, m’dear. Note: The following is the introductory paragraph written by Elliot to his chapter “Looking Ahead” addressing the issues in the future of Madeira. It is a good sample of the style of his writing and has a lot of good teaser elements to draw in the reader. You might find a place for it on the page and as a separate element from the review. 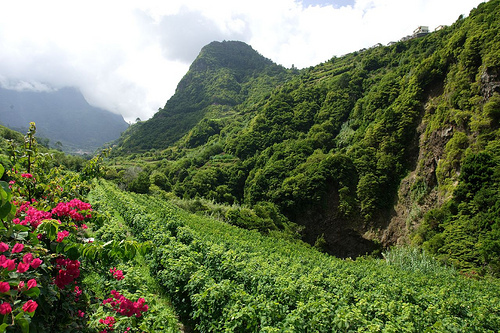 …the number of producers of Madeira wine has contracted considerably in the last 100 years, to just eight today. The days when Madeira commonly graced the decanters and dining tables of the wealthy are gone – today they are likely to have Bordeaux wines that are highly rated by Robert Parker, to show to their dining companions. Fortified wines generally have been in decline. Sherry has suffered particularly, and great Port wines are sold for relatively low prices. The lost markets may never reappear, and Madeira must work to find new, young customers wherever they may be in the world as well as suggesting different and innovative ways and moments to taste one of the most famous and oldest wines in the world.